by Melody Thacker, in News, Watkins Product Review Comments Off on How are JR Watkins Natural Products Made? Have you ever wondered about Watkins products and how they are manufactured? It’s a pretty interesting process. Well, I find it fascinating and hope you do too. Watkins used to hold an annual Conference and awards banquet for Independent Consultants. In 2013 it was held in beautiful Winona, MN. While we were there we got to see how Watkins products are made, the test kitchen, distribution center and more! Watkins home office, factory, and museum take up one entire city block in Winona, Minnesota. It consists of 5 interconnected buildings, with the manufacturing facilities 8 stories high. I’ve toured the factory a number of times and always learn something new and interesting. Watkins tests every shipment of vanilla beans, spices and other ingredients used to make our natural products to ensure they meet Watkins high-quality standards. You’ll see bags marked with an approved tag and others tagged to be tested. Then, the approved ingredients are moved to the upper floors to be processed and gravity is used to move the finished products down to be packaged. The manufacturing process uses green business practices and packaging. Watch the Watkins Open House Celebration video on youtube. If would like to know more, have questions about Watkins products or you’d like to request a catalog or place an order I’d be happy to help you. 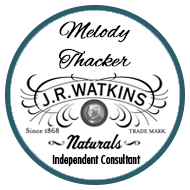 Request a Watkins catalog from Melody Thacker an Independent Watkins Consultant.